Are you wondering how to delete an already uploaded WhatsApp status update on your Android or iOS (iPhone or iPad) device? You should stick around. You’d find out the simplest way to getting that done in this content. While having a conversation with someone earlier today, she asked how she could edit a WhatsApp status update. I replied saying, already uploaded WhatsApp messages cannot be edited. This doesn’t just apply to WhatsApp status update, it does apply to Facebook stories, Messenger stories and even, Instagram stories. By WhatsApp status here, i am not making reference to the traditional status update being displayed on your WhatsApp profile. I am making reference to the new WhatsApp status update featured released a few months back. More details on that HERE. The only option you are often left with, if you feel the need to edit a status or story update on any of these platforms, is to delete. In the case of this lady, she made an error with the caption which she added to the status update. On WhatsApp and pretty much other social networking platforms, you can upload images, videos to your status update and even add a caption which is optional by the way. You can also use just texts on WhatsApp. If by chance, you made an error with the caption and feel the need to change it, editing the caption isn’t possible. The best option is often to delete, re-upload the image or video and this time, include the correct caption. That was the advice I gave to her. Thereafter she asked, how do I delete my status update on WhatsApp? Although I did share the steps on how to make it work, I feel some people could have the same question. Hence, I decided to share the tips here. This sorta reminded me of a friend who at a point, shared a particular picture on status update on WhatsApp. Not sure how to remove it, this friend deleted the WhatsApp account. This however, didn’t fix the issue. Hence, should you find yourself in such situation, delete the update – not the account. Tap on Delete (number of status updates) status update to confirm deletion. There you have it. Deleting WhatsApp status updates on iOS (iPhones and iPads) is that simple. Now, let’s go over to Android. Step #1: Launch the WhatsApp Application. Step #2: Tap on the Status Tab. Step #3: Tap on the horizontal dots (…) next to my status which signifies options. At this point, your status updates should be displayed. Step #5: Tap on the delete icon (bin icon) displayed at the top. Step #6: Tap on delete to confirm deletion. You should be able to accomplish this without having to follow images, right? WhatsApp Status Updates is only visible to your contacts for 24 hours. After which, the status update will automatically be removed. More so, you can manually configure your Status updates to be visible to a particular set of persons on your contact list rather than everyone on your contact list. To do this, simply play around with the privacy settings under WhatsApp Status tab. To be clear, your WhatsApp status update will only be available to not only people you have their contacts stored on your phone, but those who have your contacts stored on their phone as well. For example, if you saved Mr A’s number but Mr A didn’t save your number, Mr A will not be able to see your status update. Neither will you be able to see his. If Mr A saved your number but you didn’t save his number, neither of you will be able to see each other’s status update. You can only see Mr A’s status update and he can as well see yours, if you both have your numbers stored on your phone. And of course, if both parties decides to post contents on their status update session. Also note that, if you have read receipts turned off on WhatsApp, you won’t be able to see the contacts who have viewed your Status updates. Your contacts also, wouldn’t know if/when you view their status update. Of course, you can respond to status updates despite your read receipt being turned off. 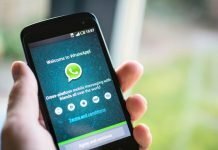 Hope that aids you in understanding how WhatsApp status update works and how to actually delete an already uploaded status update on WhatsApp. Questions? Feel free to ask.